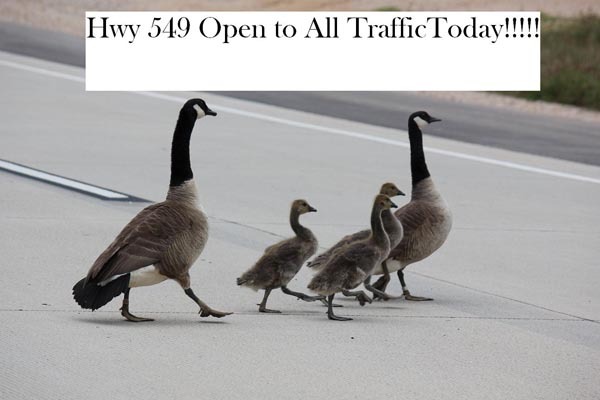 Highway 549 open to all traffic today! Love the picture AND the caption!!!! great Job!! !